Latte: I am working fairly monogomously on Cookie A's Twisted Flower Socks out of Blue Moon Fiber Arts that Rock in Peek-a-Boo-Peony. Grande: I finished the knitting on Catkin. I still need to get buttons, weave in the ends and block it. I'm hoping to find just the right buttons at Stone Mountain & Daughter, my favorite fabric store ever, right here in Berkeley. Brewing: I am very excited about the newest Twist Collective. There are many, many patterns I'd like to acquire, but the three I'm most taken with at this moment are Lilium by Amy Herzog, Floriston by Elizabeth Doherty and Sproket by Barbara Gregory. I'm thinking of frogging a partly knitted Kingscot in red Rowan DK and using the yarn to make Lilium. I will start by swatching. I also recommend an article from Twist Collective: The Error of Our Ways: A Knitter's Guide to Fixing Mistakes by Robin Melanson. I continue to be excited by color and color schemes. I recommend two sites to generate palettes, as well as some apps. I especially like Colourlovers and design-seeds. You can see color palettes generated from great paintings here. Colourlovers has an iPhone app, and there are color apps from places ranging from Pantone to Benjamin Moore and Sherwin Williams. Pinterest is also a great source for generating color palettes. Menu: I have been obsessed with making ice cream. To date, I've made Strawberry-Sour Cream, Green Tea, Lavender Honey and Aztec Chocolate flavors. All of the recipes can be found in The Perfect Scoop by David Lebovitz. Sofa: I talk about three TV shows and a book: Mad Men has not (yet) pleased me this season. Project Runway, on the other hand, is making me really happy! I also enjoyed Top of the Lake, a mini-series that aired on Sundance Channel. See if you can find it online or on demand. I have also fallen into the guilty pleasure known as RuPaul's Drag Race. Yes, I'm late to the game, but laughing like crazy. The book: Where'd You Go, Bernadette? by Maria Semple. It is hilarious! I also rediscovered the joys of browsing in a real, bricks and mortar bookstore, in this case Mrs. Dalloway's. Chai: I have been to many yarn shops! In Portland, I "only" visited about four, and I loved Happy Knits, Pearl Fiber Arts and For Yarn's Sake. I purchased some Grove from Bumblebirch as well as some Cashy Wool from Knitted Wit. In Portland, I had the amazing pleasure of dining at Park Kitchen. If you can get there, well, what are you waiting for? Closer to home, I visited K2Tog, A Verb for Keeping Warm and Lacis. Events: I will be at the Clara Parkes reading from her new book The Yarn Whisperer and talking about The Great White Bale at A Verb for Keeping Warm and I am also almost sure to be at Fleeces Food and Fun: Spinning with the Treadles to Threads Guild. I hope to see you at one or both. Latte: I'm working on a Clapotis for a friend and otherwise I have been very monogomous working on Catkin. I have gotten to the slip stitch portion of the project, and it's very enjoyable to create color work this way. You can read a great deal about "slip stitch" or "mosaic" color work knitting here and here. Barbara Walker's A Fourth Treasury of Knitting Patterns also has a very large selection of these patterns. Taste: I review Knit to Flatter by Amy Herzog. I think this book is an essential addition to EVERY knitter's library. Hurry up and get yourself a copy! Don't miss Amy's website, here. During the review, I also mentioned a very useful book about getting sewing patterns to fit: Pattern Fitting with Confidence by Nancy Zieman. Brewing: I talk about color theory and why you might want to play around with it. Grab yourself a color wheel and enjoy! Inspiration? Look to nature! The beautiful fiber colors of Crown Mountain Farms are inspired by nature. Get some colored pencils, markers, paint, colored paper or just fool around with a paint or drawing program on your computer. Make friends with color. If you want to know more about Pantone, look here. 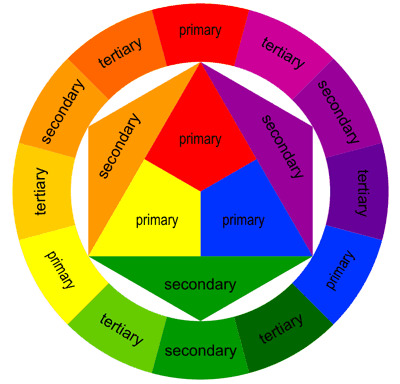 For books about color theory, look here, here or here. Sofa: I welcome back several of my favorite TV shows: Call the Midwife, Game of Thrones, Doctor Who and Mad Men. Tip Jar: When you gift someone with a book, include your own notations/marginalia. I did this when I gifted Mary with The Daily Soup, my favorite soup cookbook ever.